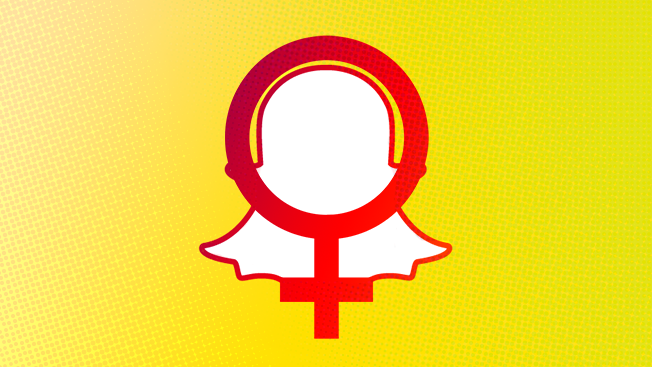 Women love Instagram, Pinterest and Facebook, as we've learned in recent weeks. And now, at least when it comes to Gen Y, they're using Snapchat a lot more than their male counterparts, according to a YouGov report released Thursday night. The organization, which surveys 4,300 people daily, has seen a considerable spike in 18- to 34-year-old female users of the app. 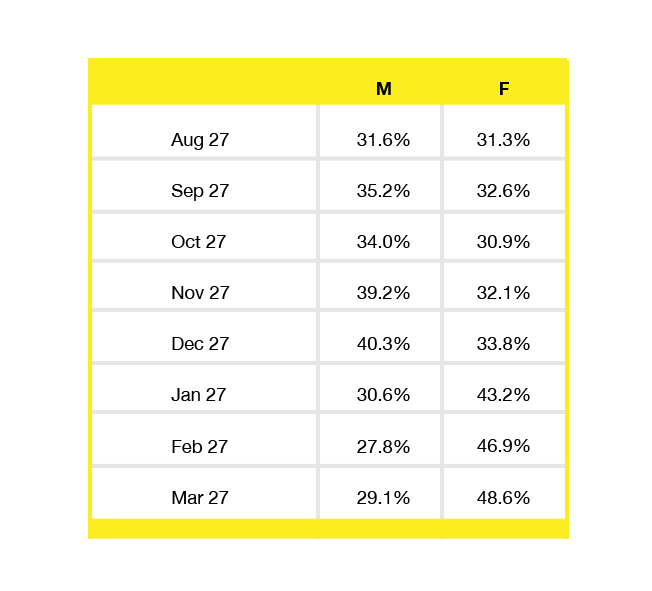 On Aug. 27, its research found that 31.6 percent of millennial males said they had used Snapchat in the last month compared to 31.3 percent of females in the demo. Since then, the difference between the genders has been a bit of a roller coaster ride. It's clear something happened in January—but what? We asked Lauren Berger, founder of Intern Queen, a talent-recruiting company that focuses solely on millennials, and she had an interesting take. "At first, millennial men were using Snapchat to communicate with friends, capture funny moments and share inside jokes," Berger said. "Once word got out that brands cared about spending money on Snapchat, the popular fashion bloggers and celebrities who used to covet Instagram flocked to the social platform. These VIPs are using Snapchat to capture their busy days, trendy clothes and fancy lifestyles—with them comes the millennial female—eager to get what feels like a behind-the-scenes look at their favorite celebs and personalities." Whatever the case, the development bears watching in the weeks ahead.